What is Mystery Shopping – Scam or Legitimate? These are some of the questions that cross your mind when you first ear about “secret shopping” or “mystery shopping”. 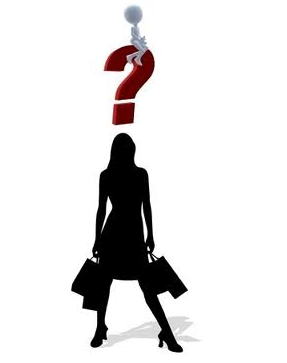 The short answer is Yes, mystery shopping exist. And to give you an idea of just how big mystery shopping industry has become, it had an estimated value of nearly $800 million in the United States in 2008. Mystery shopping, or integrity shopping (as it’s called sometimes), started in the 1940’s as a tool to measure the integrity and honesty of an employee. Since then, it has grown tremendously, to the point where in 2008, the industry was estimated to be worth nearly $800 million in the United States. Secret shopping a simple yet affective method for market research companies to gather information about the quality of their products or services and also the quality of their employees customer service. Mystery shopping is most commonly used for retail stores, car dealership, movie theaters, restaurants, fast food chains, banks, gas stations and etc. It’s also used for collecting information about hospitals and other health care facilities. Mystery shopping, and the result it produces is becoming a big part of success or failure of a business or even an employee or employees of a business. For example; customer/patient satisfaction is being incorporated more frequently into executive pay. One study by a U.S. firm found more than 55% of hospital chief executive officers surveyed in 2005, had “some compensation at risk,” based on patient satisfaction, up from only 8% to 20% a dozen years ago. Well, it’s based on a simple yet result producing technique. A secret shopper who is assigned for the specific store/business, poses as a real customer and does simple tasks like asking question, buying a product and maybe returning it later, all in order to gather information about the quality of service and product of that store/business. After the shopping is done, the shopper will report back his or her experience by filling out a questioner, by phone or even in person. In return for this service, of course the shopper receives a reward, which can be cash or gift certificate. Plus, the shopper gets to keep the product he or she just bought, for free. It could be a TV or a dinner at a restaurant or whatever else. Is Mystery Shopping A Scam? No, mystery shopping is not a scam. It is a real business worth millions of dollars. But you can find secret shopper scam here and there. Unfortunately, just like any other thing that becomes popular & productive, scammers have been trying to cash in by scamming secret shoppers in many different ways. And since mystery shopping industry doesn’t advertise much (they are very selective of their shoppers), scammers have been very successful in scamming interested people who have no way of getting information about the industry and what’s real and not. As for those ads (plastered all over the Internet) that promise $50, $100 or even more per hour for mystery shopping, but you have to pay a registration fee?… Well, legitimate secret shopping companies will never charge you a fee to register with them. Matter of fact, legit mystery shopping companies will never ask you for money for any reason what so ever. How To Find Legitimate Secret Shopper Jobs? Luckily, I have made a list of about 100+ legitimate mystery shopping companies, and have published it here on BlogStash.com. You can see the list by visiting my list of legit mystery shopping companies. Remember, like any other job, mystery shopping has its own rules and regulations. Before you get started, do make sure to read and understand what exactly is required of you for each specific assignment and follow the rules. Start getting paid for shopping now that you know what mystery shopping is.